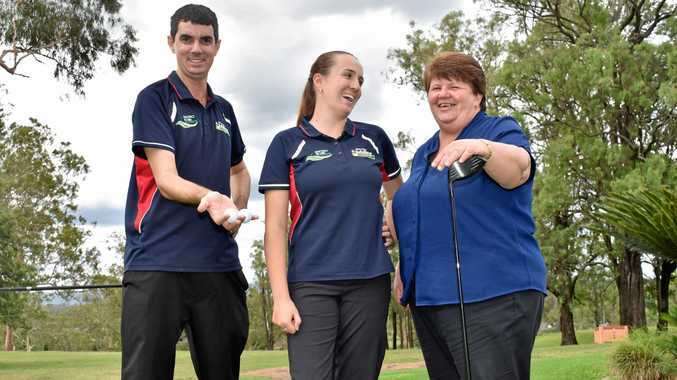 Golf: Gatton Jubilee Golf Club staff are paving the way to a more woman- orientated future as they prepare to hold their inaugural Women in Business ladies-only corporate day. The day is the first of its kind for the club and is a bid to encourage more women in the Lockyer Valley to get involved in golf. Club manager Leanne Sippel hoped the January 11 event would be the first step in the right direction for building a community of golfing women. "I've been here a long time, and in that time not a lot has changed as far as women's golf is concerned,” Sippel said. Attendees at the corporate day will play a nine-hole game but Sippel stressed the event was open to all levels of abilities - even those who had never played. Club head professional golfer Anna Stanton said the event was all about motivating women. "It's by no means competitive; it's a fun day and a novelty day,” Stanton said. The Australian Ladies' Professional Golf competitor has provided lessons to golfers at the club for the past two years and will be at the event to assist attendees. Stanton encouraged women to attend the event to help break stereotypes surrounding golf. "I think golf has a stigma that it is for older people or for the ones who are rich,” she said. Stanton was the third- ranked amateur in Australia before turning pro and competing in the ALPG tour for two seasons. The talented golfer hoped the ladies' corporate event would generate enough support for a new competition at the Gatton course. "We are looking into bringing in an introductory Ladies Let's Golf program at the start of next year,” she said. The Women in Business ladies-only corporate day will be held on Friday, January, 11 at the Gatton Jubilee Golf Club.